The Living Tongues Institute for Endangered Languages, in collaboration with the Enduring Voices Project, operates searchable online, audio databases of words and phrases descriptive of everyday activities and cultural practices for language communities around the world. During 2015, I collaborated with a research group focused on gathering and cataloguing new audio for Talking Dictionaries in four endangered languages of Micronesia: Kapingamarangi, Mokilese, Nukuoro, and Pingelap. In addition to my role as project manager in language elicitation, I built relationships with community stakeholders and sought their input on the Talking Dictionary itself. I wanted to know what they thought of the online interface and existing content. Equally important to me were their perspectives on the social and cultural impact of the online dictionaries as a tool in language and cultural preservation. As I spoke with elders, parents, university students, and kids through interviews and focus groups, what became increasingly clear was that even though these individuals were the expected users for the web-based dictionary, they felt differently. Two major factors were at already play: (1) limited rural internet access, and (2) language shift. 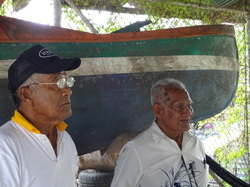 ​As parents and elders explained to me, young children of the island were coming of age in a multilingual environment marked by the economic influences of English, and the increasingly blended families of Fijian, Filipino, Polynesian, and Pingelap descent. While some islanders viewed the dictionary as a useful resource they could share with their children, others envisioned primary users to instead be U.S. mainlanders including Micronesians in the diaspora, or potential tourists to the island. These insights will inform future directions for the Talking Dictionary project by helping to build user personas and impact community outreach. I also share some of these insights through my blog on intercultural communication. 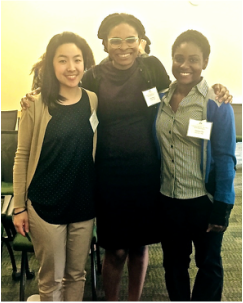 As a result of discussions in my Spring 2015 seminar course Language and Identity in the African Experience, I entered into a research partnership with Diamond Ray '18 (Bryn Mawr College), Mariana Irby '15 (Bryn Mawr College, not pictured) and Leslie Tjing '15 (Haverford College). 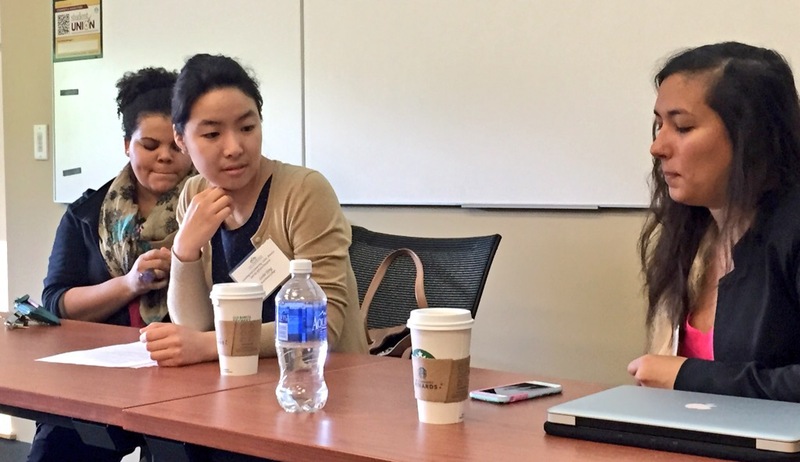 Our project explored how diversity initiatives at the college level inevitably group students based on attributes (perceived as shared), with the aim of bringing these students greater support and visibility. Under the umbrella of student organizations, Dominican and Puerto Rican women become Latinas, and African American women from around the U.S. become Black or similarly identified. Much like author Chimamanda Adichie describes her college experience of going from Nigerian to African in her TED talk, we explored what it means to come into contact with an identity derived from new educational circumstances. We also discussed the effect these identities have on students' return to home communities, and their ways of speaking and relating to peers and family. Connecting with the digital archive Black Liberation 1969, we placed contemporary narratives in temporal context with the experiences of Black and Latina college women of a previous generation. Are We Meeting Student Demand with Curricular Innovation? I entered into a partnership with Molly McShane '16, a student in my Fall 2013 seminar on Language in Africana Studies, after we together witnessed how a student’s petition to include Arabic in her African Studies major was denied on the grounds that Arabic was not an ‘African’ language. Rather, African Studies majors were instead pointed toward French or Portuguese to fulfill foreign language requirements. Swahili was offered at the college on an irregular basis. We then decided to focus on Arabic and Swahili, two languages sharing dramatic increases in college-level enrollments since 2006, and take up the notion of language ideology and its curricular impact on institutional support for less commonly taught languages in the U.S. We created a strategic survey for the liberal arts community and recruited additional participants for subsequent qualitative interviews. 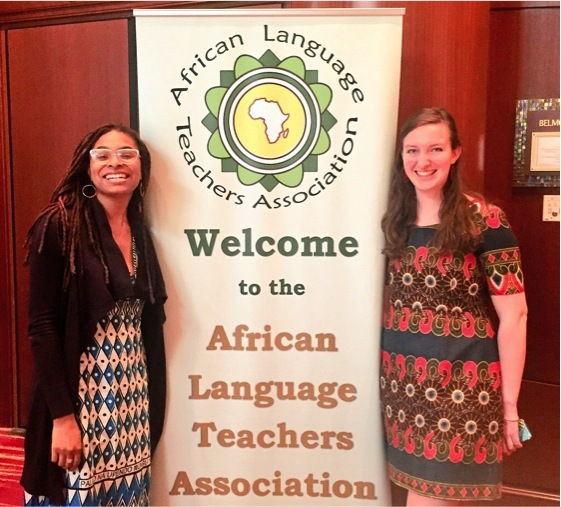 At the 2015 conference for the African Language Teachers Association we reported results from (N = 187) participating students and educators. Our collaborative publication is in preparation.